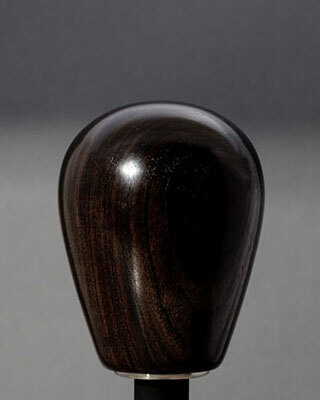 African Blackwood is the wood used for clarinets and similar musical instruments. 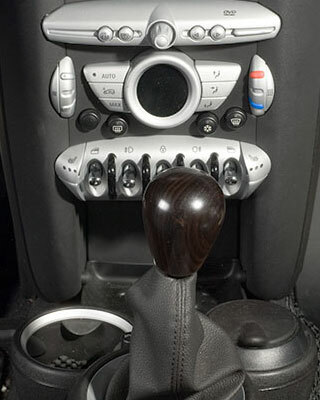 It is a hard dense wood with a nice luster to it, and makes excellent shift knobs. The color varies from dark chocolate brown to black. Interior shot lightened so knob would be visible against the black interior. Black and rich dark brown grain pattern. This is an elegant combination of the black & brown. Would go well with English Oak.